Your Online B2B MarketPlace  More than 276,000 companies with extended profiles in a database to fit your direct marketing campaigns - Business Opportunities - Thousands of Requests to buy, Offers to sell and Tenders - to facilitate your purchase and sales operations. Informational System Profittool - aims to support the work in departments such as: purchasing, sales, marketing, import-export. buy more quickly and at lower prices the	products necessary to your company's activity (raw materials, semi finished products, parts, stationery and other consumables, subassemblies, machinery, building materials) and / or you can gain easily access to different cheaper types of services (transportation, project and design, building, printing, financial etc. ), offering to you the possibility of direct communication with potential suppliers / collaborators and of making the best decision for your company. establish direct connections with new potential buyers for your products and services, increasing your sales. 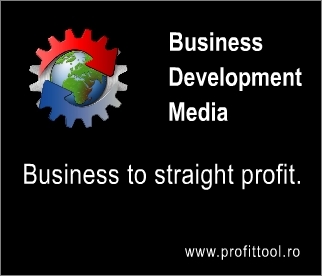 your company's promotion toward Romanian and foreign companies by direct marketing modern, flexible and diverse means, leading to your profit growth and to your company's recognition inside the national, regional or international business community. What are the advantages and facilities for client companies? Promotion by banners and business cards, increasing company’s exposure when different search processes are conducted in the system. Promotion by banners and business cards, increasing company`s exposure when different search processes are conducted in the system. Agricultural products, fruits, vegetables, live animals, etc. Alcoholic beverages, beer, wine, etc. Mineral water, soft drinks, etc. Wooden pallets, packaging, barrels, etc. Plywood, MDF, OSB, panels, wainscot, parquet, doors and windows, etc. Wooden furniture. Household, office, garden, etc. Upholstered furniture. Sofas, armchairs, chairs etc. Metal furniture. Household, office, garden, etc. Plastic furniture. Household, office, garden, etc. Glass furniture. Household, office, garden, etc. Yarns, fabrics, household linen, etc. Garments, knitwear, shirts, underwear, etc. Highways, roads, bridges, works, etc. Materials for hydrotechnical works and for highways, roads, bridges, etc. Doors, windows, curtain walls, flat glass, etc. Recovery and recycling metal scrap, etc. Vanes, valves, taps, faucets, flanges, etc. Metalworking, CNC. Forging, foundry, heat treatment services, etc. Services, equipment and machinery for cleanning and maintenance. Instruments, equipment, apparatus and other medical and surgical products. Medical services. Gifts, souvenirs, jewelry, handicrafts, etc. Banking, finance, leasing and insurance services. Stock and commodity exchange. Security and commodity brokers. Searching companies in whole database. Please wait. Thank you!